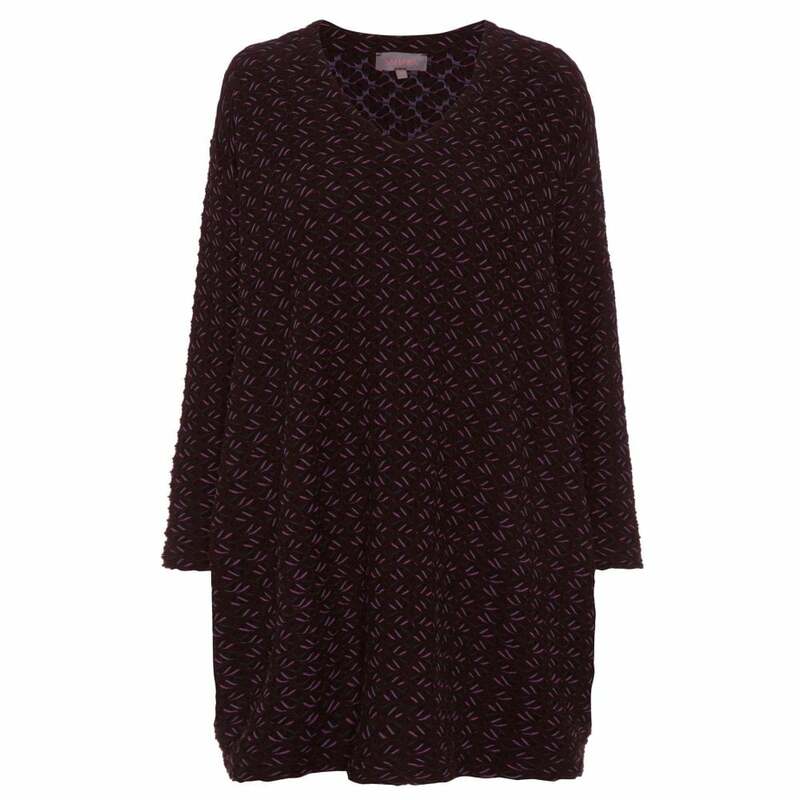 Created with a slight stretch this tunic features a heavyweight jersey knit making it perfect for winter weather. With a flattering v-neck and three quarter length sleeves this tunic finishes just below the hip and gathers gently at the hemline. We love the striking green and damson colours running through this top.